The new year is here, and you’re already thinking about hiring. While January/February are sometimes slow months, many employers find they need to hire early for the spring. What does 2019 have in store for employers? 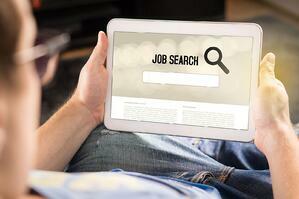 There are already emerging job search trends to keep in mind. Here are a few of the trends that look to be most important for the next 12 months. If you’re not designing your job site or application process for mobile, you’ll need to get on board immediately. The number of job seekers using mobile continues to grow. Already, the vast majority are using smartphones and tablets not only to search for jobs, but to apply to these opportunities. Don’t forget the importance of making applying easy. A single-click process is more successful with mobile users than lengthy forms. Be sure to test the process on various devices to ensure forms load properly, and everything is in working order. If you want to find the right candidates, you need to go where they are. LinkedIn might still be the first choice for job seekers and employers alike, but 2019’s job search trends predict social media will be more dominant than ever this year. You may find job seekers almost anywhere, from Instagram to Twitter to up-and-coming platforms. As an employer, keep your options open, and your eyes peeled. Some things never change. While most job seekers have moved away from print ads in a newspaper’s classified section, most of them have migrated online to job boards. These function as an online replacement for the tried and true classified ad. It turns out they’re still popular in 2019. Job search trends over the last few years have suggested job boards are still the first place job seekers access. Perhaps one of 2019’s most interesting job search trends is the emergence of the perpetual job search. It used to be that once people settled into a new job, they’d end their job search. This no longer appears to be the case. Even when candidates are hired, they’re keeping their options open. This ties into a trend towards passive job searches. Candidates may not be actively seeking new work, but they do check job boards from time to time or send the occasional inquiry. Employers are also going the passive route, using in-depth searches to find candidates who are already employed, and might be interested in a new opportunity. It’s been predicted that, as talent becomes scarcer, employers will have to rely more on their own employees for recommendations. As many employers are currently facing talent shortages in a variety of industries, it seems this prediction will come true. Be sure to carefully examine employee referrals, just as you would with any other candidate. Job seekers have been told of the importance of customizing their applications, and using the right keywords. This is key when ATS software is in play. As employers use software to sort leading candidates from applications, it becomes integral for job seekers to use the right language. Employers must also select the right language when creating job posts. The careful selection of keywords will help you attract the right candidates. Job seekers are increasingly turning to staffing firms and recruiters to find the right job opportunities. If you’re not already partnered with a staffing agency like Liberty Staffing Services, make it a new year’s resolution to get in touch.